In 1988 Quinn married Giovanna Cicutto, and on the birth of the first of their three sons they decided to leave New York – a place that ‘hardens your human values’ – and settle in Spain. ‘We chose Spain for its Latin character, its fervour … the way it values people and family, and for its great artistic trajectory’, he comments. 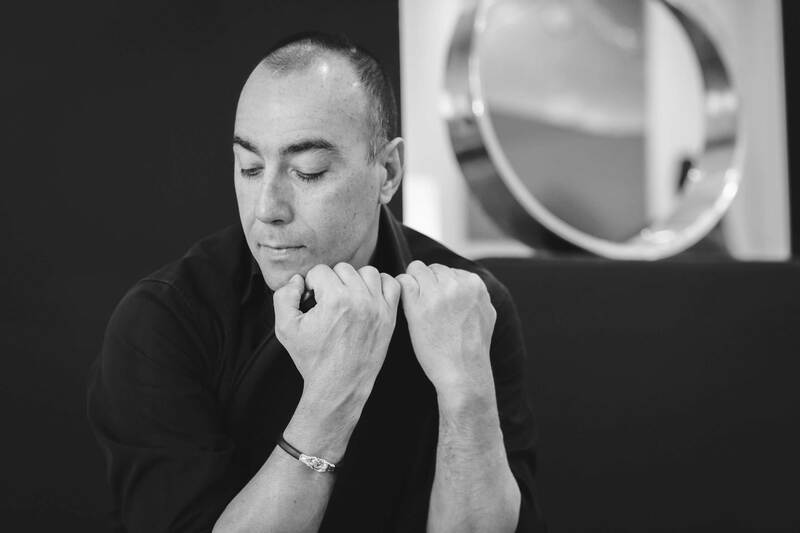 Quinn’s creative ideas spark quickly into life: ‘The inspiration comes within a millisecond’, he says, as he is driven to sculpt by observing life’s everyday energy. Yet a finished project takes months to realise, and it has to carry clear meaning. Quinn usually conceives each work in writing, and the poetic text is ultimately displayed with the sculpture, as an integral part of the piece, not merely explanation. Quinn’s work appears in many private collections throughout the world and has been exhibited internationally during the past 20 years. Among his commissions is The Tree of Life, produced for the United Nations and issued by the organisation as a stamp in 1993. The following year the Vatican engaged him to sculpt the likeness of St Anthony for the Basilica del Santo in Padua, in commemoration of the 800th anniversary of the saint’s birth; the sculpture was blessed by the pope in St Peter’s Square, Rome, in front of a crowd of 35,000. 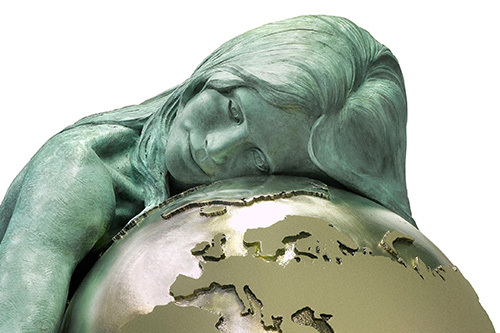 Quinn’s public art includes Encounters, a massive globe enclosing a pointing hand, which was unveiled in 2003 opposite the Museum of Modern Art in Palma de Mallorca, Spain. In Birmingham, The Tree of Life was erected outside St Martin’s Church in 2005 to commemorate those who died in the Second World War blitz on the city. 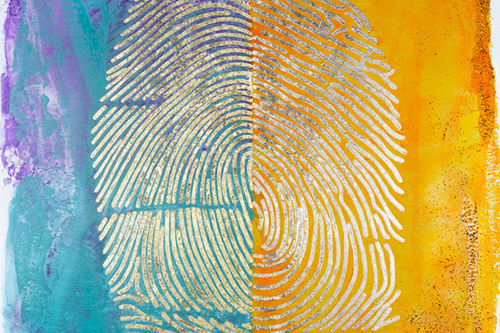 Further works are on display at King Edward’s Wharf – Creation, Volare and Crossing a Millennium – with their characteristic focus on the hand, the human form and the circle. In November 2005 one of Quinn’s largest public sculptures, Rise Through Education, was installed at ASPIRE, the Academy of Sports Excellence, in Doha, commissioned by the state of Qatar. Weighing an impressive 8 tonnes, this monument shows a pair of adult hands placing the world in a child’s hand, the arms forming a circle above an open book. The artist’s commentary on the piece states: ‘A child is the most precious asset our future has. Our obligation is their guidance…. It is only through education and knowledge that a person may master his life.’ Quinn created a second sculpture for the interior of the academy to depict striving for excellence; Reaching for Gold is a pyramid of seven arms emerging from a base of sand, the hands straining towards a medal. In spring 2011, Quinn was invited to participate in the first ever summer exhibition of outdoor sculpture in Rome. Planned as Rome’s Biennale di Scultura but subsequently renamed Rassegna Internazionale di Scultura di Roma, it featured a range of significant contemporary and historic artists. At the Casina Valadier in the Villa Borghese Park he exhibited La Dolce Vita, a piece representing the joie de vivre of that period and a ‘sense of total abandonment to the child within’. That summer he was also selected as the exhibiting artist for the Italian Pavilion at the Venice Biennale. His powerful and provocative anti-war installation This is Not a Game was positioned across two different sites with a commentary that observed, ‘Leaders of the world use their armies as if they were some private little toy they can commandeer and destroy as a careless kid would’. The high esteem in which Quinn is held is borne out by his invitation to exhibit Hand of God and Leap of Faith at the Winter Palace in the State Hermitage, St Petersburg, to coincide with the 2011 international White Nights arts festival. Displayed alongside works by Henry Moore, Quinn’s sculptures reflect his creative approach to the passage of time: ‘The past is set in stone, the present is carving itself in wood, and the future is an empty goblet to fill with dreams’. Quinn’s spring 2012 retrospective at Harrods in London – his first solo exhibition at this world-famed location – presented pieces from the ‘Love’ series, photographic aluminium wall panels and a film exploring his work. One of the highlights of the show was the double sculpture Perfect Relationship (2011): a pair of graceful bronze hands rising from two nautilus fossils, shells that spiral in the proportions of the golden ratio and here symbolise the perfection of soul mates in love. Another prestigious London opportunity was the installation of La Dolce Vita in Park Lane at the end of September 2012. In the United States, Halcyon Gallery donated Quinn’s The Force of Nature II, a piece created in the wake of the 2009 tsunami, to benefit two non-profit organisations: the Happy Hearts Fund, established to rebuild communities after natural disasters, and the March to the Top Foundation, helping Africans affected by economic poverty. The sculpture, so clearly symbolic of human strength and resilience in the face of adversity, has a specially constructed base with tiers of donor plaques, and proceeds from them will fund the construction of two new schools. In October 2012, The Force of Nature II was installed at the Paramount Group’s magnificent skyscraper on the Avenue of the Americas in New York. Complementing this pairing of public art with philanthropy is a further placement of The Force of Nature II at a cultural development project on the seafront at Doha in Qatar aiming to encourage and promote the arts. More recently, in February 2014 the toy manufacturer BRUDER Spielwaren GmbH + Co. KG devised, commissioned and donated Dreams Come True to the City of Fuerth, Germany. At 3 x 16 metres this monumental sculpture depicts the hands of a child immersed in the colourful play-world of building and construction, complete with an excavator, dumpster and life-sized toy construction workers. Also in the same year, Quinn’s sculptures Love and Emotions were donated for auction, raising more than £300,000 for the Sunrise K’ Foundation for children with glaucoma and the EORTC, the European organisation for the research and treatment of cancer. Throughout 2013 and 2014, Quinn exhibited at a number of important international art fairs including Art Monaco ’13; Art Palm Beach; Miami International Art Fair; PINTA, London; SCOPE, New York and Art Toronto, Canada. During this period the artist was also awarded several public placements, including the installation of new works Tight Rope II and The Four Loves (alongside The Force of Nature II), on the island of Ibiza in 2013. In December 2014, Quinn returned to Park Lane to unveil Harmony, his unique interpretation of the traditional Yin and Yang symbol. Displayed in the UK for the first time, the monumental piece measures 3m in height, and is cast in polished aluminum and stainless steel. 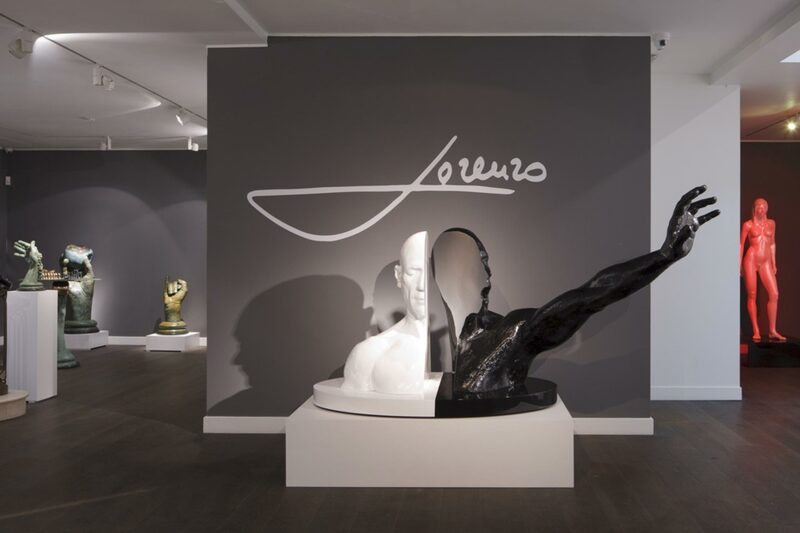 In April 2015, Halcyon Gallery announced its partnership with Gallery Odyssey in association with the Indiabulls Group in Mumbai, with the inaugural exhibition In the Hands of Lorenzo Quinn. The first time Quinn’s work has been exhibited in India, this career defining show runs throughout the summer while such monumental works as Leap of Faith, The Force of Nature II and Love are displayed to the public within the grounds of the Indiabulls headquarters in Mumbai as part of its commitment to supporting art and cultural programmes locally and internationally.